This week's challenge was totally up my alley! I just love making animals and I thought I would combine this with halloween which is another of my favorite holidays. Please make sure to jump over to the challenge site and check out the other awesome entries this week right HERE. Have a PKS face set? Play along for a chance to win the Large Critter Faces stamp set (details at the challenge site). You know I love action cards and I instantly thought of doing a double slider for this idea. 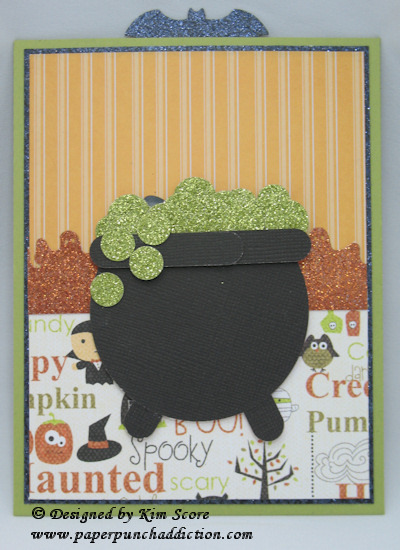 You may recall the halloween double slider cards I did last year HERE and HERE. 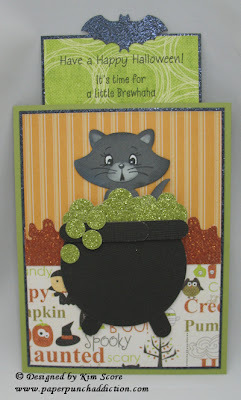 This time, I used the Peachy Keen Cottage Cutz Kitty die set to create my little kitty. 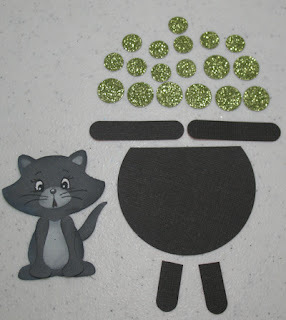 Then, I created a punch art cauldron complete with glittery bubbles to have him pop out of! Please see instructions below the pictures. 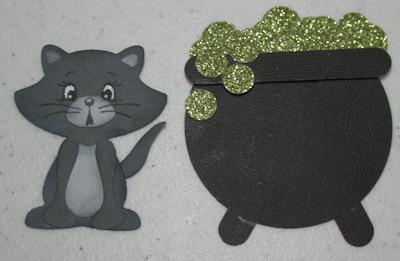 Pull the bat at the top of the card up and the kitty pops out of the cauldron! 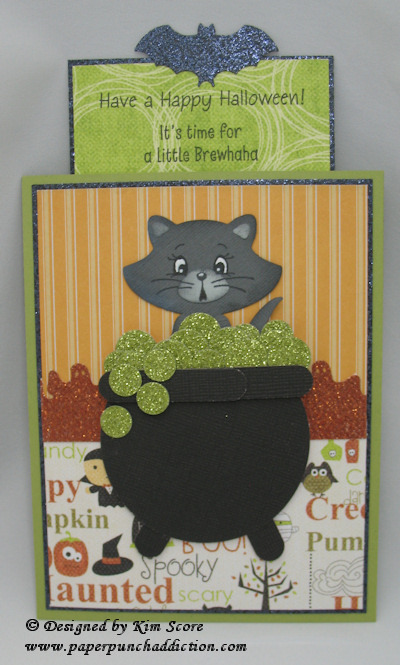 Die cut, stamp face and assemble kitty using the Peachy Keen CottageCutz Tear Kitty set. Color whites of eyes with uniball white gel pen. Cut about 1/4" of the top off 2-1/2" circle. Cut one word window in half for legs. Glue legs onto bottom. 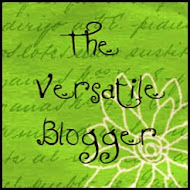 Overlap other 2 word window pieces to create rim. Attach to top of cauldron with dimensionals. Glue circles onto back of rim and stack circles to create bubble effect. For the basic Double Slider tutorial, please got to Splitcoast Stampers HERE. The assembly of this card is a little different than the instructions at SCS. I recommend making these modifications to get the card just right. Assemble the card front first. Layer pumpkin stripe onto glitter black then layer halloween print onto bottom of glitter black, slightly overlapping pumpkin stripe. 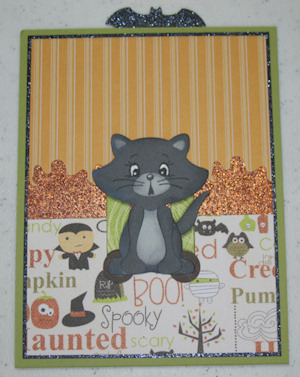 Glue ghost border along top of halloween print. 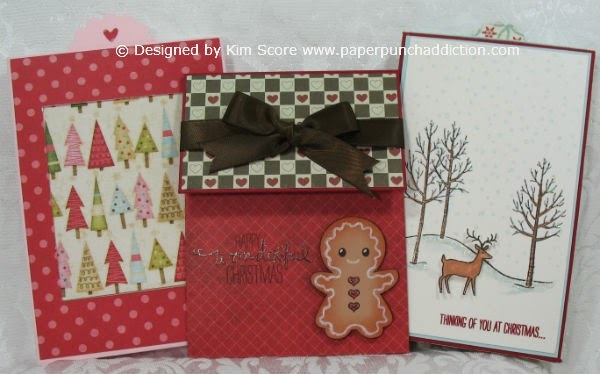 On the card front, take the word window punch and slide it in on the left side as far as it will go with the bottom edge of the punch about 3/4" from the bottom of card. Punch another slot on the right side of the card in the same manner. Layer card front onto base of card. 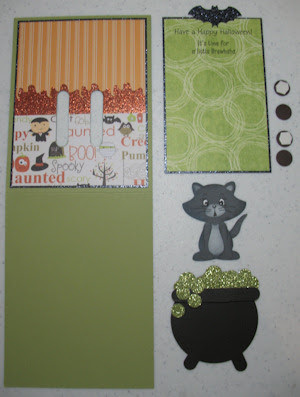 Use a craft knife to cut out the word window slots in the pear pizzazz card stock as shown. Due to the extensive layers, I recommend stacking 2 dimensionals onto the two 1/2" circles for the sliding mechanism. Follow steps 7 through 10 HERE for mechanism assembly. Attach the feet of kitty onto the 1/2" circles as shown. Add dimensionals onto outside edges of cauldron (thinner pieces). Attach cauldron over kitty to cover him up. Make sure that when he slides up and down that his body doesn't get stuck by the dimensionals holding on the cauldron. I hope you enjoyed this card! This is one of my all time faves! 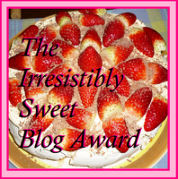 I love this card - it is one of my favorites also! Perfection! Your talent is awesome! Thank you for the instructions! I love it! 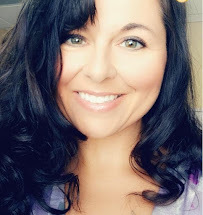 Wiahing you a happy weekend! This is absolutely fantastic! 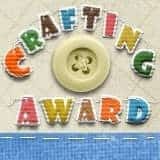 I love all your interactive and 3D cards/projects!!!! Stinkin' Cute is all I can say!!! 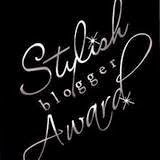 You did a fab job on this! Your card is absolutely adorable! I love everything about it especially the face on the cat!